Why Should You Get a CDL for Driving a Truck? Truck drivers are sought-after because of the demand in specific industries for transporting their goods across the country. If you’re planning to have a career in truck driving, you won’t need much. You don’t even need to have a college degree. However, to distinguish yourself from everyone else vying for the same work, you’ll need a commercial driver’s license or CDL. Many people can get a driver’s license or a high school diploma; having both means, you’re only average. These won’t set you apart from other people looking for the same job. A CDL for Class A, B or C vehicles makes you more marketable to companies that have different fleets and use various trucks of varying weights. This license gives you an advantage because it shows you can drive a truck in any industry. You’ll have a specific qualification that makes you more appealing to companies. Just getting a license may allow you to drive for individual companies but you won’t have many choices. A commercial driver’s license opens more doors to you, and some of these opportunities pay more than others. 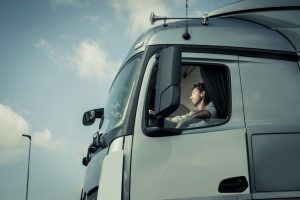 A CDL for the three classes (A, B, C), along with certain endorsements, allows you to drive more trucks and heavier vehicles within the classifications’ descriptions. Some of these provide you with a higher salary because of the volume of goods you have to move, the number of passengers you need to transport, or the safety risk involved in transporting the goods (such as when you’re moving hazardous materials). A CDL not only provides you with more choices of vehicle to drive and companies to work with but also a chance at a better compensation package. You have more leverage in negotiating the terms of your contract with this license. These are some of the advantages of getting a commercial driver’s license. Get one to have the edge over other drivers that want the same jobs as you. Truck drivers are sought-after because of the demand in specific industries for transporting their goods across the country.